New Guinea impatiens and SunPatiens are similar in appearance and impressive with their ability to brighten any landscape, but SunPatiens have a much higher tolerance for Mississippi’s summer heat. Years ago when I worked at a golf course, we would use New Guinea grown in containers to mark the women’s tee boxes. It would take a week for the plants to recover from being out in the sun for the day. SunPatiens, on the other hand, love growing in the full sun during the hottest parts of the summer season. There are many selections available in the SunPatiens in three different growth categories. The Vigorous family will quickly fill-in large landscape beds. The Compact series has outstanding tight branching characteristics and require little pruning to keep looking their best. 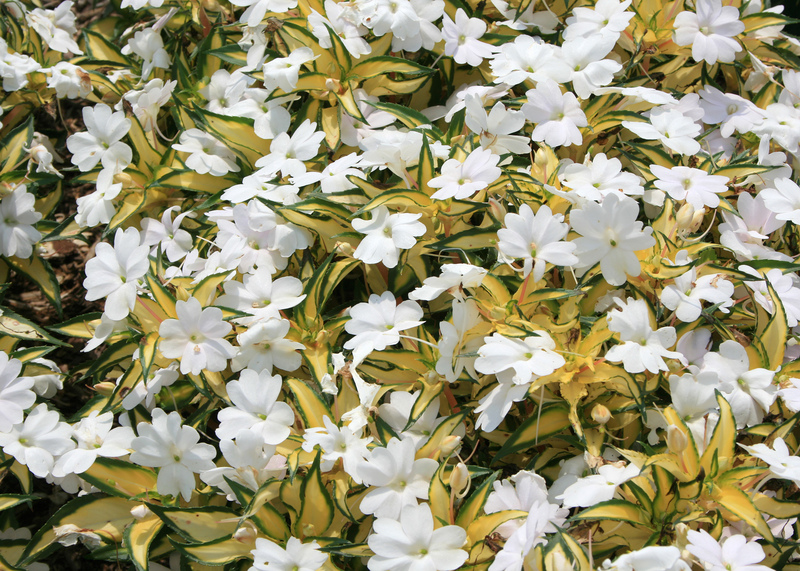 The Spreading variety has variegated foliage that is a beautiful creamy yellow with bright green edges and is the perfect spiller plant in hanging baskets or grown singly in big containers. It’s important to remember Sunpatiens will require consistent moisture during the hot summer months. Using drip irrigation in the landscape bed will keep these plants happy during the hottest temperatures. During the extremely hot weather we get almost every summer, even with consistent moisture, these plants may show some wilting in the afternoon. 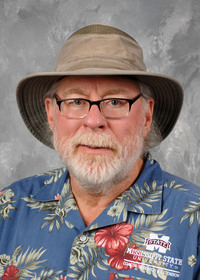 I remember several summers ago we were at the Truck Crops Branch Station recording a Southern Gardening TV segment on SunPatiens, and we could literally see the plants wilting under the 117 degree heat index. The plants were fine and ready to take on the summer heat again the next morning. It important to plant your Sunpatiens late in the spring for your region in Mississippi. This will allow the root system to become established and increases the summer tolerances before the high temperatures come rolling in. 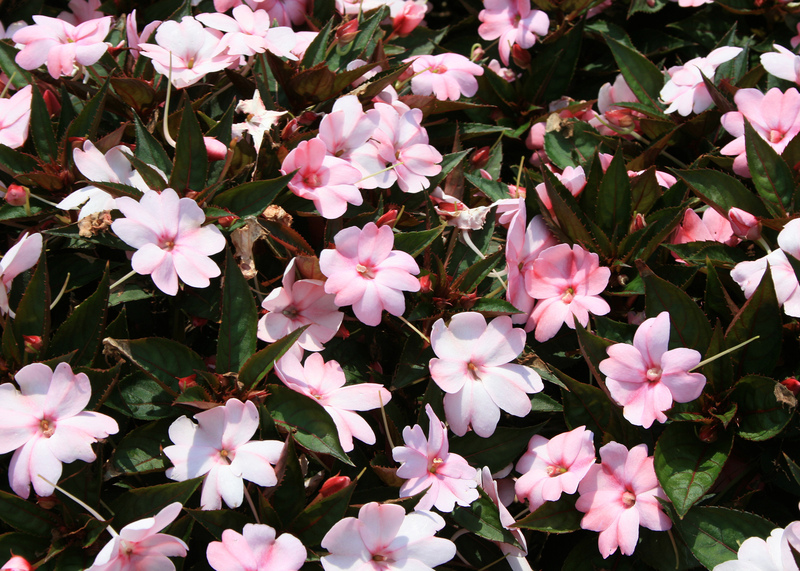 If you happen to miss the full-sun, early spring planting window, you can always plant Sunpatiens in the shade. They just won’t be as floriferous. SunPatiens are an improvement in New Guinea-type impatiens that can be grown in the full sun. They bloom from the time they are planted in late April or May through the fall. Because of their superior landscape performance, they were chosen as a Mississippi Medallion winner in 2011. SunPatiens seem to flaunt their brilliant flower colors and heat tolerance. Always plant in good, loose soil for your landscape beds and potting mix for containers. Amend high clay soils with good quality compost to increase drainage. Sprinkle a couple of tablespoons of slow-release fertilizer around the plants at plants. Every couple of weeks, use a 20-10-20 or 20-20-20 water soluble fertilizer to keep your SunPatiens growing strong through the summer.